In the last season of the profit Marcus Lemonis invested in the company called Car Cash (here is the car cash episode review), a car buying and selling company based in New York owned by brothers Andrew and Jonathan Baron. Marcus invested $200,000 of his money for 100% of the business making the former owners Andrew and Jonathan licensees of the company Car Cash. Today Car Cash makes over $10,000 per month and the brothers are finally making money. In fact, Andrew and Jonathan just opened the second location for car cash in New Jersey then things are looking great for them. They in the process of opening three more locations of car cash. Andrew and Jonathan now make around $2000 per car in profit which is a 100% increase in the amount of money they made before Marcus came into the business. Today Marcus has invested over $1 million in the Car Cash brand and he’s taking the business all over the country with new locations. Currently, there are 70 locations for car cash, there is a national 1-800 number and the brand 1-800 Car Cash is now becoming one of the biggest brands in the US car buying service sector. It is the national car buying sponsor of NASCAR racing. Congratulations to Marcus Lemonis and to the brothers Andrew and Jonathan. We wish Car Cash all the best. See link to You Tube Video Presentation of Denny Huston’s Career overview. I have been in and around the car business dating back to 1970 where I ran two Used Car Dealerships (Used) in Des Moines, Iowa where I was raised. My Family has been in San Antonio, TX. since 1978 and I’ve been in the Auto Industry serving both sides of the Desk. Since 1994, I’ve provided Financial Services to both New and Used Car Dealerships throughout Texas. I think this Business Model is Great and Texas would and should be a Huge Region for something like Car Cash. I lack liquid capital but possess tremendous expertise in the Auto industry. I have 2 lots in Orlando. Been in business since 2008. We do over 3 million in sales each lot. Want to sell, interested? I have seen all the episode’s and I believe in your three process you grow on. I would very much like to build your signs for you nation wide. I have done many conversations and I have even contact you by your website. I can complete a sign program that fits your needs. You don’t seem to watch carefully. That sales pitch is rediculous! What’s in it for him? I currently run a similar model in the motorcycle industry. Buying wholesale and selling to other dearlers. Do you currently have anything like this or have interest in this? Hello, you say you buy wholesale and sale to dealerships, how do you go about finding dealerships to sale to? How do you do it? Are you still selling motorcycles please contact me at strictlybusiness191@gmail.com I’m in the same line of work. Are their a Franchise partnership? This is a fan website, sounds like your trying to reach the company through here? I am a licensed car dealer in Florida offering car sales, rental and a service center and would love to expand my options. Has Florida been considered for this business? interested in opening a location in N.J.
Not it’s time to go to the next level. When I type “one eight hundred” (1-800) or 1800 into my web browser, your site should be the one below 1800contacts. I really had to search to find the actual 1800carcash site. I came across this page first. Their site may not be ranked very well on Goole. I have read up a little bit on site optimization. One book I would recommend would be Amazon’s Dirty Little Secrets, By Greg Jameson. It’s a quick read and full of great information. about a business venture with you! I was looking at 1800 CAR CASH To to help my husband get to the next level I was presently surprised to see you owned all, as you are my husbands idle…As a result of a back injury some years back our business Motorist Service that we have had the prevlege of owning for 20 + years together is failing. This is coming at a time where we are on top of our game, and have wonderful ideas you could use. I would pled with you to meet with my husband and use his ideas in exchange for your consideration to give him a chance to work with you. ineterest in opening one up in ct if you can give me a call to find out what i can do 914490-1241 anthony thank you. Anyone in San Antonio interested in a veteran with 25 years of experience as they open or grow their business? If so – I am ready to support. Marcus, estás interesado en hacer negocios en México? I really like the show. I learn about bussiness watching every single show. Congratulations from Guayaquil, Ecuador. Why did you feel you have to take the two brothers whole family business there father had left for them. Why not share ownership like all the other company’s you “helped”. Obviously, I am a father and that didn’t sit well with me. If your going to help others, than help them, not just your self. If you have a good answer I will consider looking more into franchising with you. 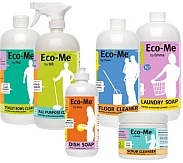 previous post: Kittrich Corporation Acquires Eco-Me. next post: Courage b To Open A New Store In Atlanta Georgia.